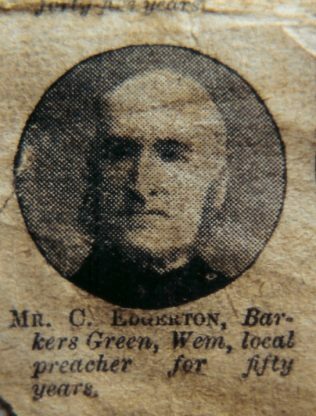 In August 1851, Charles Edgerton becomes a Class Leader and Local Preacher at Primitive Methodist Church, Barkers Green, Wem. 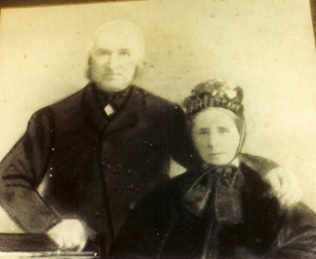 18 June 1852, Charles Edgerton married Elizabeth Maddox at Chapel Street Chapel, Wem, Shropshire according to the Rites and Ceremonies of the Independents, Joseph Pattison was the Minister and Richard Edgerton and Sara Sharps were witnesses. All parties signed the register. 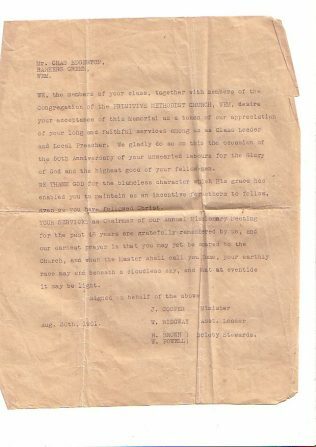 Charles was a brickmaker living at Barkers Green. Elizabeth also lived at Barkers Green, daughter of Samuel Maddox, brickmaker. I have a Primitive Methodist book of his marked with his name and the year 1888. 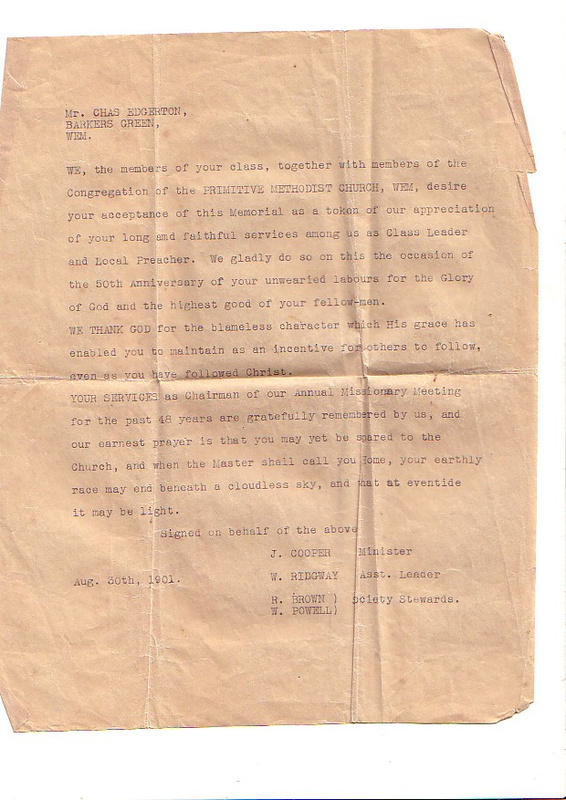 I believe this is about my husbands great great grandfather..